Innovative robotic actuator/gear drive uses mating surfaces instead of traditional gear teeth – resulting in a lighter, lower cost robot and improved ROI. Motus Labs identified an opportunity to disrupt the robotic actuator/gear drive market. All articulated robots have multiple joints built with actuators – a combination of motors and gears, that control positioning and acceleration on various axes. The actuators are the most critical, differentiating and expensive component, yet still have performance limitations and rely on old gear technology. Critical part – High cost – Limited performance – all the makings for a breakthrough invention! A robot actuator must be strong, precise, and lightweight, resulting in a costly design. The strain wave and cycloidal designs are still using centuries-old gear technology that has many limitations. Today’s robots require high torque, high precision, low weight and a controlled rate of motion. Current gear-drive designs need to meet these requirements and rely on expensive, special steel alloys and high-precision manufacturing processes. Heavy – Problem compounded with each robot joint & increasing torque required. Not Efficient – Energy input wasted with friction and heat. Expensive – Gear drive requires exacting special fabrication. We will begin manufacturing the Motus M-DRIVE in the coming few months. Right now, we are busy refining, testing and gathering feedback from early adopters on key performance metrics – so far, we are crushing it. By the way, companies that have seen the Motus M-DRIVE are intrigued by the innovative design, performance metrics, and up to 50% reduction in weight and cost. A common challenge faced by the robotic suppliers is the high cost and limited performance of the actuators/gear drives. The fast-growing, Service robot market builds smaller robots that often work alongside humans. The robots can ‘learn’ on the job and have other characteristics unique to working with humans. Traditional, large industrial articulated robots are more expensive to build and often replace humans. Designed to perform repetitive work in place of human employees. Used to automate the manufacturing process almost entirely without human help. Require an engineer to write new code for any changes to the repetitive process. The M-DRIVE design can be built with lighter materials such as aluminum or even plastic, resulting in dramatically lower weight actuators. The improved cohesion of mating surfaces eliminates the elasticity found in conventional drives that slow down and destabilize robots. The M-DRIVE design eliminates the need for special alloys and complex manufacturing processes, contributing to an overall cost reduction of a robot. Provides high torque with less weight, due to the M-DRIVE’s lighter materials. The unique design provides greater position accuracy, no hysteresis loss, and zero backlash. The M-DRIVE provides 20-30% higher power efficiency than competing strain wave gearing. We know the M-DRIVE can significantly impact the robotic industry due to the innovative design and all-around better efficiencies. Just imagine if the cost of building a robot could be cut up to 50%, yet it was stronger, more precise and lighter. Various industries would have the ability to use robots in more applications and bring them to market faster and cheaper. Agricultural Robotics market should be $12.8B by 2022. The Medical Robot market will be a $13B market by 2022. Service Robots assist human beings, typically by performing a job that is dirty, dull, distant, dangerous or repetitive, including household chores. They typically are autonomous and/or operated by a built-in control system, with manual override options. The Service Robot market will be worth $23.9B by 2022. Exoskeleton Robots mimic, augment or enhance the body’s movements. The primary application is in medical rehabilitation and is also seen in military uses. Partial exoskeletons are used in construction. The Exoskeleton market will be a $3B market by 2022. Defense Robots are deployed by the military in combat scenarios. These robots enhance a soldier’s or sailor’s existing capabilities while keeping them out of harm’s way. Defense Robots are a $18B market today, growing to $30B by 2021. Climbing robots for inspection and construction. Construction Robots will be a $320M market by 2021. Humanoid Robots are in humanoid and non-humanoid forms. These robots are intended to interact with customers in finding items or completing a task. The Humanoid Robot market was $60M in 2017, growing to $90M by 2022. This segment is a $4B market today, growing to $20B by 2021. Inspection Robots are equipped with cameras and are made to inspect tight spaces. They go everywhere you can’t (or won’t) go: into attics, under houses, inside ducts, down sewers and through culverts and pipes. 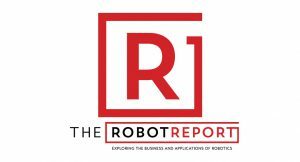 The Inspection Robots market size is projected to reach $3.72B by 2021.